Need help fixing the transition between your carpet and tile? You have come to the right place! Hiring a professional carpet repair company will save you time, money and stress in the long run. Carpet to tile transition issues normally happen when new tile flooring is installed alongside carpet that has been in the home for awhile. Making the two materials mesh well can be tricky. 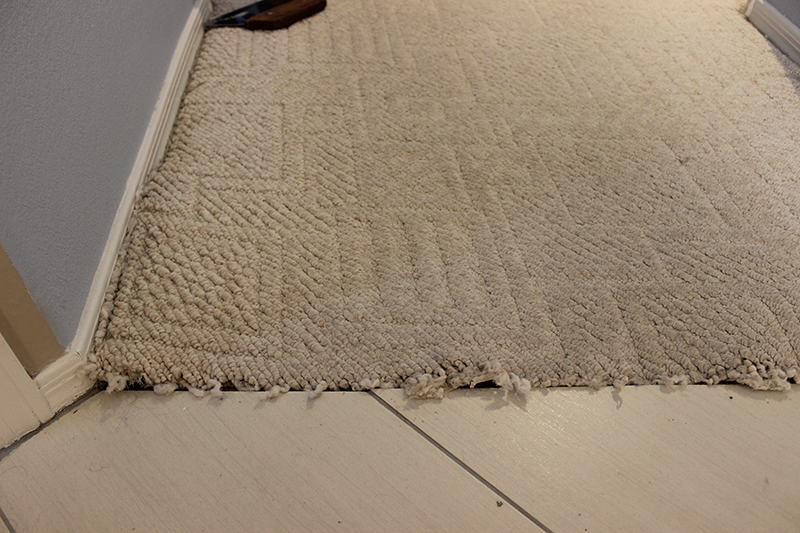 A carpet that is not transitioned well will become frayed and torn. This will reduce the service life of your carpet and lower the curb appeal of your home if you are looking to sell it. We have a couple different repair solutions that we can use to fix your carpet to tile transition issue. We can help you pick one that is appropriate for your home. A majority of homes will only need their carpet re-stretched and secured to the tack strip. If your carpet needs more than a simple re-stretching, we use transition strips. 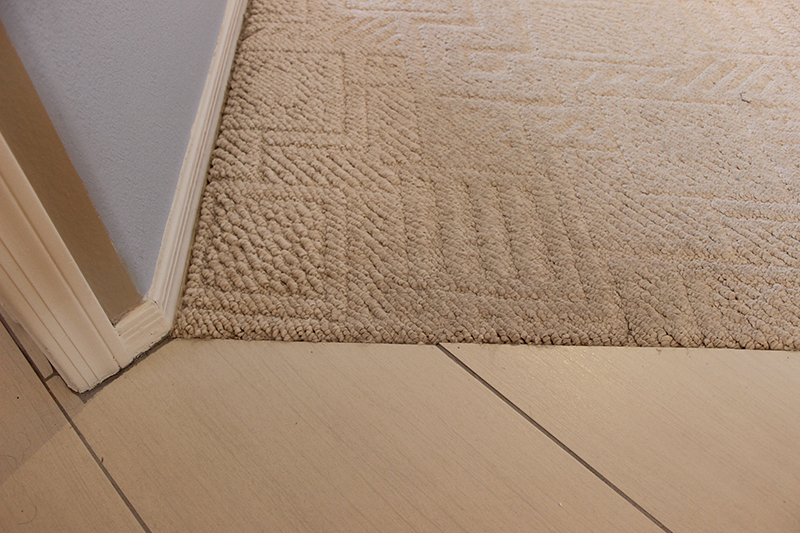 This creates a smooth joint between your carpet and tile. These transition strips can be rubber, wood or metal. For commercial properties, we use rubber reducers as a transition because they are durable.